The Dodge Challenger and Charger and the Chrysler 300 are assembled in Brampton. BRAMPTON, ONT. — Fiat Chrysler’s assembly plant here was given a new lease on life last year when the automaker committed to redoing its paint shop for $325 million. But the length of that lease on life negotiated with auto union Unifor is an open question. A confluence of trends makes Brampton Assembly’s long-term outlook uncertain. Some of those trends affect the entire Canadian auto industry: How will North American Free Trade Agreement (NAFTA) renegotiations impact Canadian manufacturing? How will automakers adjust to consumers’ shift toward utility vehicles and trucks, and away from cars like the ones built at Brampton? That’s not all. Fiat Chrysler could be sold, a move that on its own would raise questions about the future of the Brampton plant. It also sits on incredibly valuable land in a Toronto suburb that has exploded in population in recent years, making the potential sale of that real estate lucrative. The questions linger despite last year’s labour negotiations with Unifor, which represents the 3,427 workers at the plant. In those talks, FCA agreed to invest in the plant over the life of a new four-year labour deal. Unifor President Jerry Dias characterized the move as life-saving for the plant, which was in dire need of a new paint shop. To be sure, the plant is in no overt danger of closing soon. The investment guarantees its survival through, at minimum, the next contract negotiations. And Brampton remains one of FCA’s most efficient and productive plants. In 2015, the 2.95-million-square foot (275,000-square-metre) plant received bronze status from FCA in implementing its World Class Manufacturing program and received four quality awards from J.D. Power. Brampton Assembly was opened in 1986 by American Motors Corp. It initially built the AMC Eagle Premier luxury car and has churned out products including the Dodge Monaco, Dodge Magnum and the Chrysler New Yorker. It currently builds the Chrysler 300 and the Dodge Charger and Challenger. The plant has had a large economic impact on Brampton. The Toronto suburb has boomed in the three decades since it opened. The question, though, is how the plant can sustain itself in the long term. A Dodge Challenger Hell Cat rolls off the line in Brampton, Ont. Perhaps the most immediate danger rests in the shift in consumer demand toward utility vehicles. The three vehicle models the plant builds are relatively low-volume cars for FCA. Not utility vehicles. The automaker sold a combined 169,731 units of the Charger, Challenger and Chrysler 300 in the United States and Canada through September, down 3.8 per cent from a year earlier. FCA declined a request for comment by Automotive News Canada. Automotive News reported in 2016 that FCA would continue building the three cars at the plant until at least 2020. Beginning with the 2021 model year, FCA plans to move two of the vehicles onto its new flexible Giorgio platform. The third would be cancelled, according to sources familiar with FCA’s plans. What happens beyond that is an open question, Dziczek said. She said the Giorgio platform gives the automaker flexibility in deciding where to build various models and when to invest in plants. That could be good news for the plant’s workers, as the Giorgio platform could allow a high-margin Jeep, for instance, to be built there. 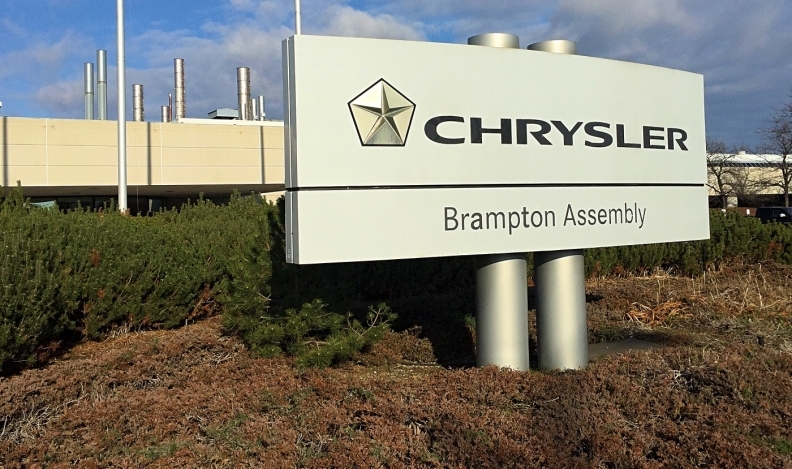 It also gives FCA the ability to more easily move Brampton sedan production elsewhere. “It’s hard to tell anything at this point,” Dziczek said. At the very least, the paint-shop investment, at minimum, buys the plant about five more years because FCA cannot close the plant in the middle of a labour contract. The plant’s long-term viability, like those of many others in Canada and the United States, could ride in large part on NAFTA renegotiations, which began in August. One major roadblock in early talks between Canada, Mexico and the United States, centered around U.S. automotive content requirements, according to a September report by the Reuters news agency. Citing a lobbyist familiar with U.S. proposals, at least 35 per cent of each vehicle would need to be sourced within the United States to enter that country tariff-free. Any major shift in NAFTA’s parameters or a U.S. exit from the treaty would bring more uncertainty to Brampton. For Dias, whose union represents Brampton workers, major changes are necessary for Canadian and U.S. manufacturing to become viable again. He said Canada and U.S. autoworkers have been “screwed over” by NAFTA since its ratification in the early 1990s, as thousands of auto jobs have shifted to lower-wage Mexico in that timeframe. The task of adjusting the company’s Canadian manufacturing footprint to any changes in NAFTA could be further complicated by a potential sale of FCA. Automotive News reported in August that China-based automaker Great Wall is interested in acquiring FCA, though FCA has said it has not been approached with an offer. Such a deal would have to clear several major U.S. regulatory hurdles, including a national-security review. Still, a potential sale raises questions about the Brampton plant’s future, especially because any buyer would likely only be interested in the Jeep and Ram brands. 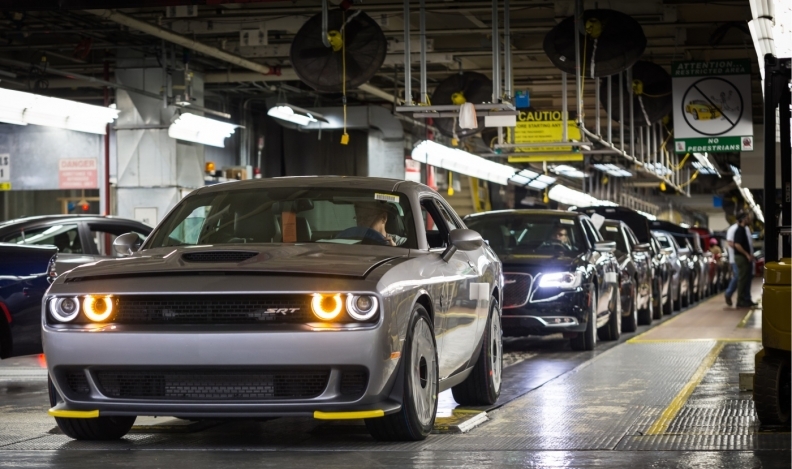 For a plant that builds only Chrysler and Dodge models, that could spell longterm trouble. One factor working in the plant’s favour, beyond its high efficiency and skilled workforce, is that shutting down any plant is highly complicated. Any remaining production would need to be shifted to other plants and entire distribution networks would need to be overhauled. But should FCA, or whoever controls the plant, ever considers shutting it down, the decision could be made easier by the land value. John Andrew, a professor at the Schools of Urban and Regional Planning and Business and Environmental Studies at Queen’s University in Kingston, Ont., said the plant sits on prime real estate. Population of the suburb northwest of Toronto has boomed by about 75 per cent since 2011 to more than 570,000 residents today. New housing and retail developments have sprung up, including around the Brampton plant. Just north of the plant, for instance, are relatively new housing developments, while the land east of the plant is awash in retail development. More housing lies to the west. Andrew said the Brampton plant’s land could be sold for a high price to developers. Still, the best thing working in the plant’s favour might be the North American political climate. 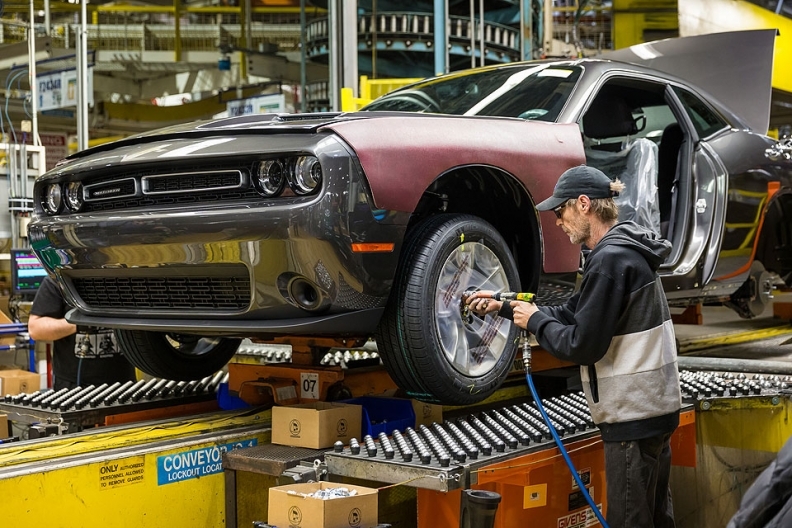 Simply put, closing a Canadian plant at a time when public opinion in the United States and Canada is shifting dramatically could be bad optics for FCA.